Are blade servers for you? (Part 3 of 4) – Who Should Buy a BladeSystem? 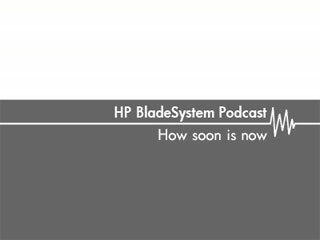 Join EMEA BladeSystem Business Development Manager Anthony Dina as he looks at the pulling power of blades, who is most likely to adopt and why. Learn more about HP blade servers.